List your company in our national directory at no cost. What you get: Business name, mailing or physical address, one phone number, up to 255 character summary about your business. 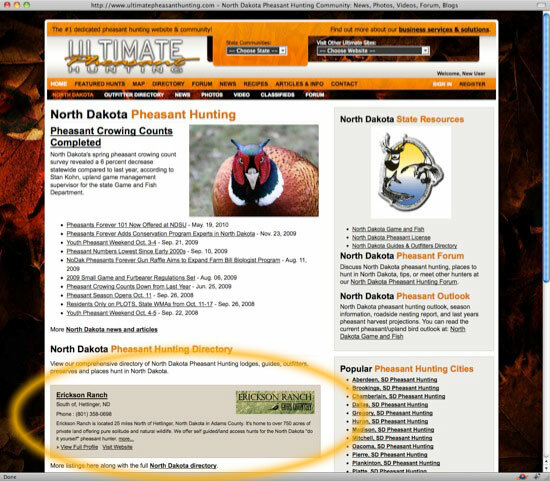 An inexpensive way to increase phone calls since your directory listing will "float" to the top of the state directory and stand out among the masses (sorted alphabetically). What you get: Your business name, business logo, mailing or physical address, one phone number, up to 255 character summary about your business and your website link. 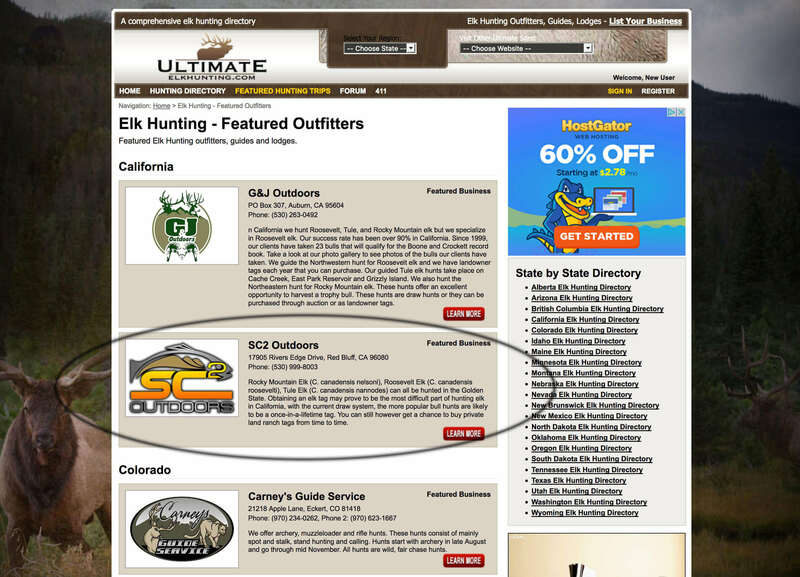 Solicit hunts in the forum to our members and carry up to 3 physical website links in your signature. Your business listing on our map page. 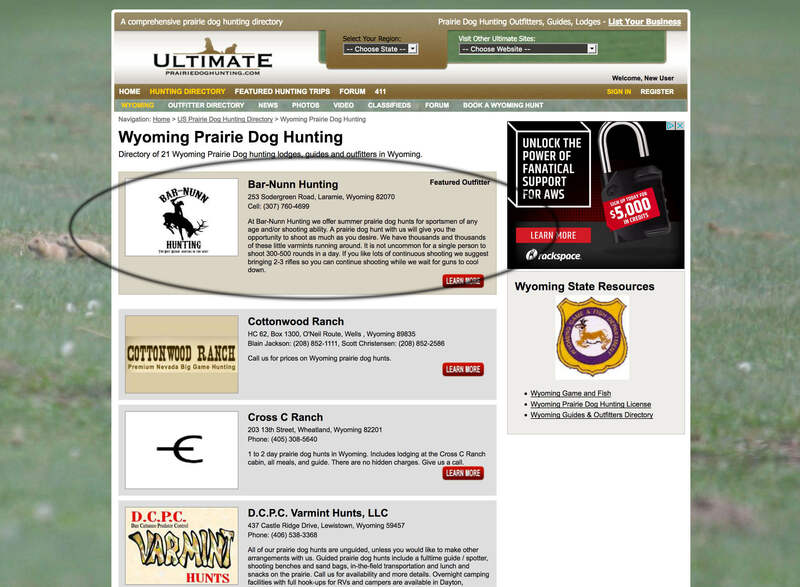 Your business information on our featured hunts page. Each listing is rotated randomly. 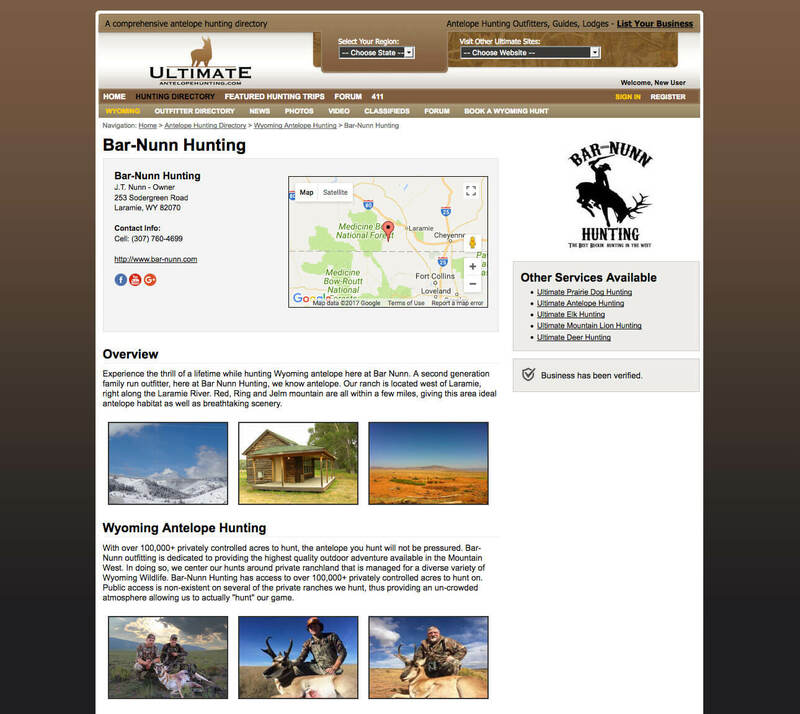 Profile page with unlimited text, photos, business information, website link and contact form. You may choose this option if you don't have a website or if you would like to have a profile page. 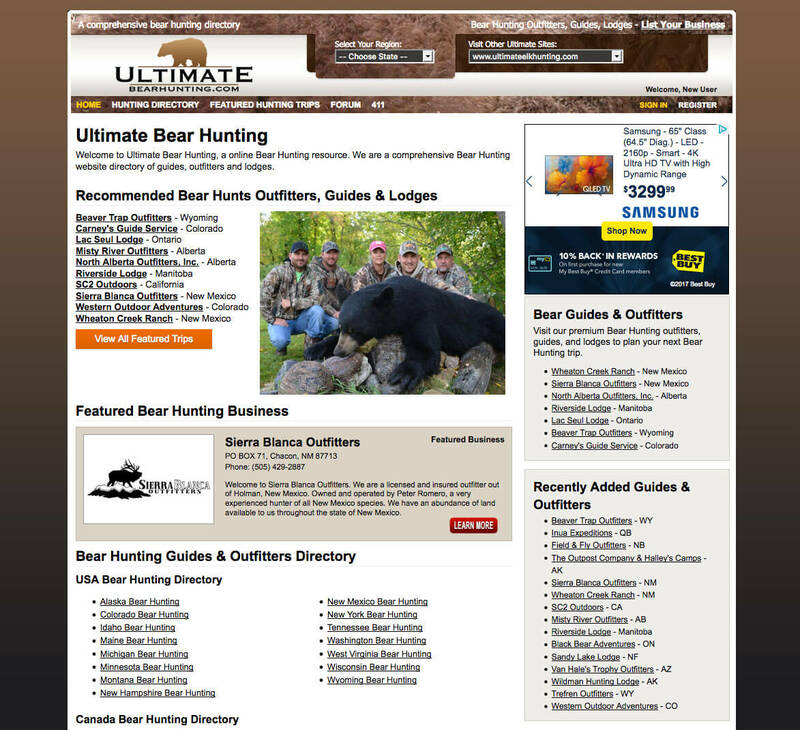 Front page listing to your website link or profile page. 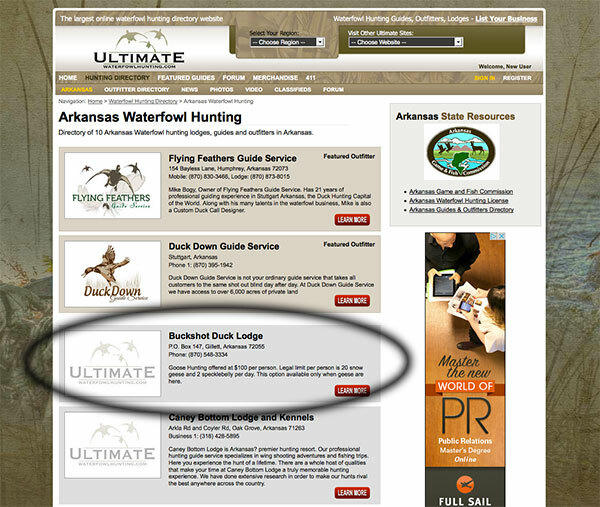 Call us for a custom advertising package.